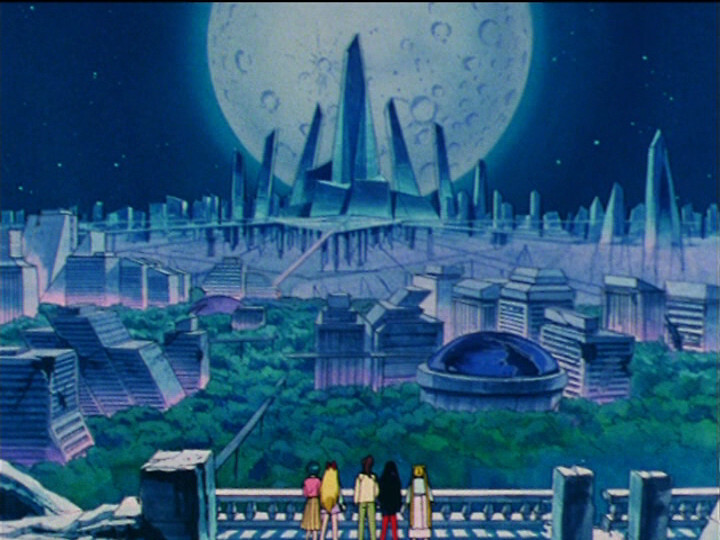 Sailor Moon and the paranormal… those aren’t typically two subjects that you’d put in close proximity with each other, but surprisingly there were some strong influences on the creation of the series and how it developed. Today, we’ll be taking a look at what sort of influences the paranormal had on Sailor Moon, and why those influences may have slowly died off in favor of traditional fantasy. Let’s take a look! 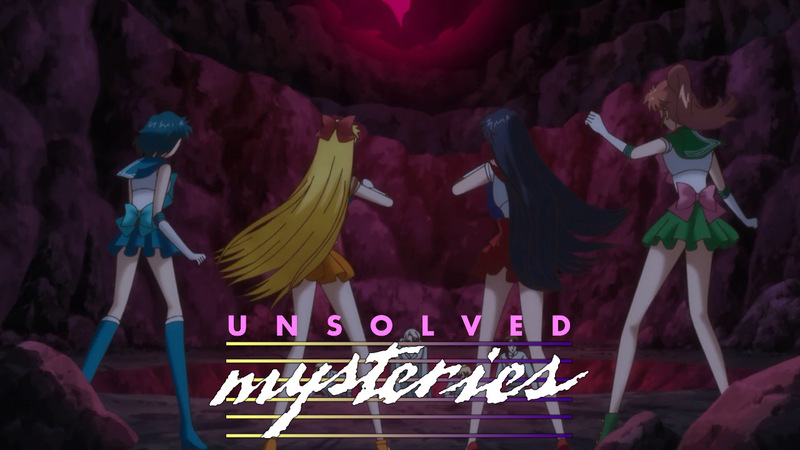 While my love of Sailor Moon is probably established at this point, what may be less well known is that I’m also a huge fan of true-crime – a hobby directly traced back to my childhood of watching Unsolved Mysteries, Scooby Doo, Jonny Quest, and other shows devoted to solving a mystery. That right there should probably explain a lot about where this blog came from, and my mindset in approaching it. Basically, I want to have an old man yell at me about being a meddling kid.1 But that’s neither here nor there. More specifically, we can trace the beginnings of this cultural phenomenon back to 1973, with the back-to-back releases of the two best-selling books “Japan Sinks” by Sakyo Komatsu3 and “The Prophecies of Nostradamus” by Ben Goto.4 The latter of the two was the first introduction many Japanese had to Nostradamus and sold 1 million copies in just 3 months – the 15th book since the war to reach a million sales. Who cares about what happened in 1973? Well, I do. And so should you. You see, a semi-famous woman by the name of Naoko Takeuchi was both in 1967,5 thus making her a child of the 70s and growing up right during this boom. Not much unlike the United States – and I imagine it was the same with other western countries – at the time, there were books, magazines, and TV shows everywhere dedicated to these topics. This whole category of different mysterious – and generally scientifically unsound – ideas falls under the category of “the occult” in Japan. I’m pretty sure you’ve kinda figured out what I’ve been leading up to here. And in case you haven’t, it’s basically explaining the background behind the themes of the Black Moon story arc. … and undoubtedly quite a few more examples I’m missing. 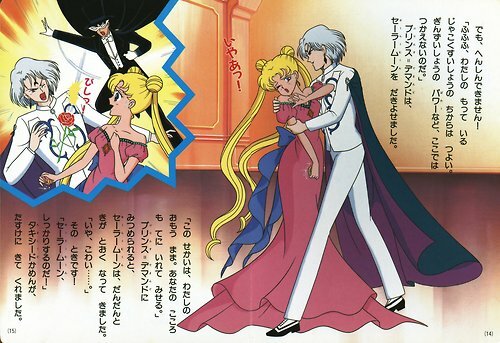 There are other cases, of course, where we see instances of the paranormal – from Rei’s visions in fire to Mamoru’s psychometry – appearing in the world of Sailor Moon, but in no other season was it as front-and-center as it was in the Black Moon story arc. 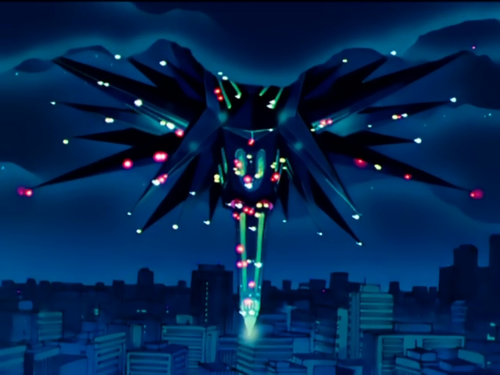 Weird question – were you already familiar with many of these paranormal phenomena when you had first read or watched Sailor Moon, or was this your first introduction of things like human combustion, dowsing, and the like? For people of my age (I know, I know…), it was all over TV growing up, but I remember seeing a lot less of this stuff from the early 2000s. I’d love to know what other people’s experiences were like! I really thought the Black Moon arc was packing a little too much into one storyline. It was almost getting cheesy. I think if Naoko had kind of paced it better it would have been a little bit more believable. If that makes sense. Maybe even in the anime, they could have played more into each sister’s specific abilities, kind of like the dowsing bit. Also, I know some people say that Sailor Moon’s second brooch may have some kind of pentagram significance. Is there anything to that? In retrospect I also thought SMS would have benefited from more of this sort of thing. There’s such an Aleister Crowley/Thelema vibe to Tomoe and his compatriots… and their witchery is kind of goofy and unthreatening. If they went full throttle, Tomoe could have been a more direct analogue for devil worshipping rocket scientist Jack Parsons and his merry band of satanic sexual libertines….. which I guess would have been NSF kids, but heck I’d have dug it. ….also it would have been a way less weird tone shift once they got to the more or less Lovecrafty horror of Pharaoh 90. As you touched on briefly here, I honestly found the Death Busters very under-utilized, with respect to how much potential they had there. I mean, even the “Witches 5” name itself seems to suggest a very interesting back story to them, but in the end nothing really comes of it. While I loved the story arc, I was definitely disappointed in how little they were fleshed out.